Tanzania may not be the first destination that comes to mind when you think of a vacation, yet it is increasingly being put on the world map. The country in East Africa is famed for its vast wilderness, after all. Its most popular attraction is the Serengeti National Park, a safari mecca populated by the “big five” game. This is the go-to place for wildlife enthusiasts hoping to spot elephants, lions, leopards, buffalos and rhinos in their natural habitat. Tanzania is also home to Kilimanjaro National Park, where you can find Africa’s highest mountain, Mount Kilimanjaro. If you’re craving for a wild adventure and hiking in Southeast Asia isn’t cutting out for you, Tanzania should be next on your travel itinerary. 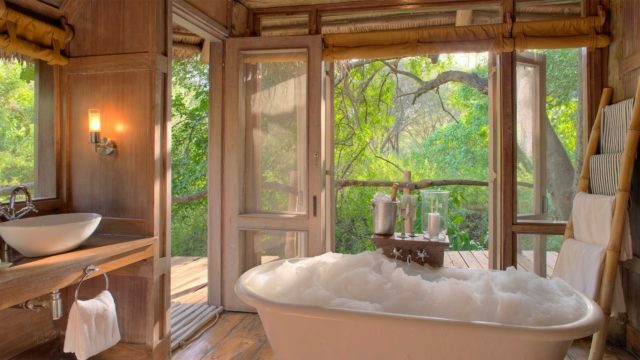 To get you started on travel planning, here are five luxury lodges in Tanzania — so you can explore this part of Africa in plush comfort. 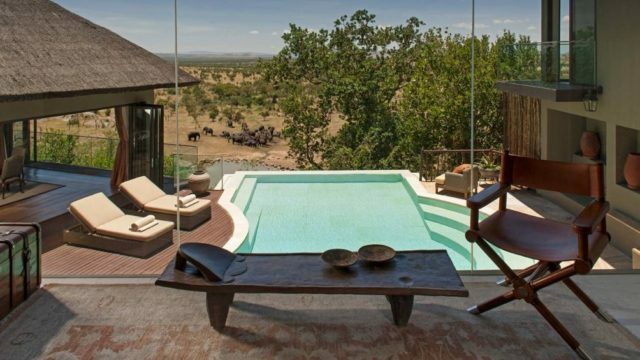 Four Seasons Safari Lodge Serengeti, nestled within Serengeti National Park, brings the iconic Four Seasons hospitality to Tanzania. The elegant and air-conditioned rooms feature African décor and modern amenities such as a flat-screen TV, minibar, and a safe. Dining options include the Boma Grill, which offers a cultural Maasai experience with an authentic African feast and Maasai dancing. The Kula’s Restaurant boasts spectacular views and dishes with local flavours and international wines. After a day of taking part in an animal safari, guests can chill out at the photogenic outdoor Maji Bar that overlooks the infinity swimming pool and savannah. The newly refurbished Singita Faru Faru Lodge is set in Grumeti in northern Tanzania, forming part of the Serengeti Mara ecosystem. The lodge offers spacious bedroom suites set within Singita’s 350,000-acre of private reserve in northern Tanzania. Its interiors are characterised by contemporary African decor and design, set against close-up views of a busy waterhole alongside the Grumeti River — inviting continuous connections with nature — alongside vast outdoor decks, an interacrive kitchen and multiple airy enclaves for dining and drinks. A romantic hideaway surrounded by greenery, Kilindi Zanzibar is nestled in a secluded setting on the northern tip of Zanzibar in East Africa. It features 15 domed, eastern-styled pavilions that are scattered across 52 acres of lush tropical gardens, and bordered by a casuarina forest. 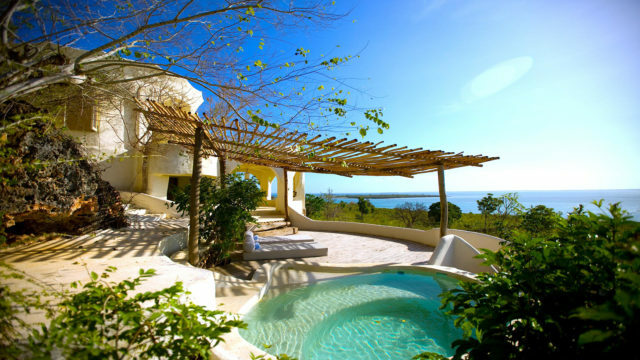 Each pavilion boasts a private plunge pool, as well as domed living and sleeping spaces that open up to the sea. The Elewana Collection property was designed by Neil Rocher, who dreamt up a luxurious open-plan design that allows cool sea breezes to flow through its pavilions. Besides its exclusive dining options, guests at Kilindi Zanzibar can relax at its cascading water bar that overlooks a 25-metre infinity pool with views of the Indian Ocean. Cradled in the boughs of an ancient mahogany forest, &Beyond Lake Manyara Tree Lodge is renowned for its nine romantic stilted treehouse suites shaded by the canopy. 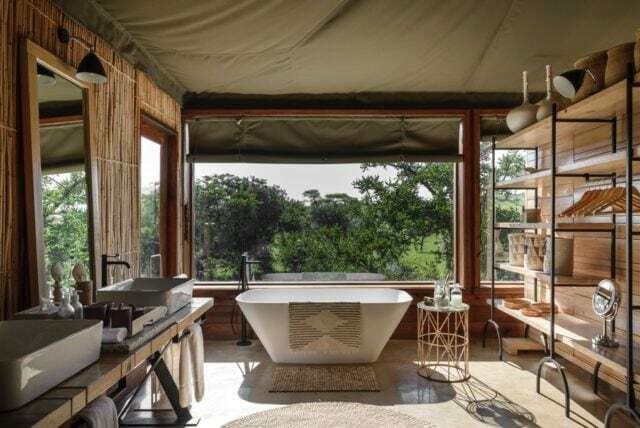 The lodge was designed to leave a minimal footprint on the environment, and offers nature lovers an exclusive interpretive safari in a remote, game-rich wilderness. The guest areas overlook a forest boma (or outdoor dining area), and are lined with traditional dugout canoes. Guest areas boast soaring spaces that house local artworks and tactile fabrics. 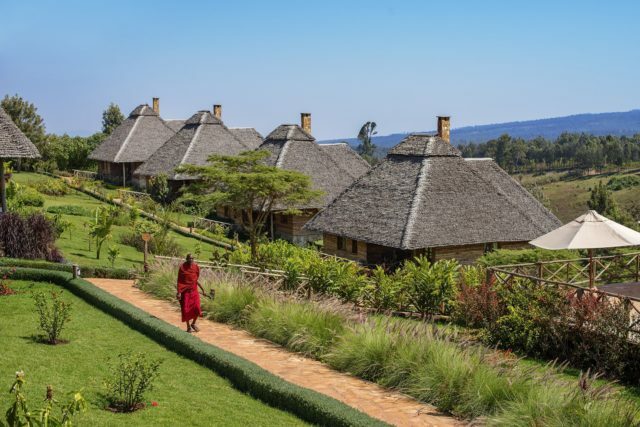 Neptune Ngorongoro Luxury Lodge is a wood log cabin style retreat set in 50 acres of virgin Tanzanian bush in the Ngorongoro volcanic landscape. It’s located just a walking distance to the Game Reserve Gate, and a 20-minute drive away from the Ngorongoro Crater, said to have the most dense concentration of wildlife in Africa. Accommodation here comes in the form of 20 spacious private log cabins complete with a fire place, as well as an in-house restaurant, bar and conference facilities.